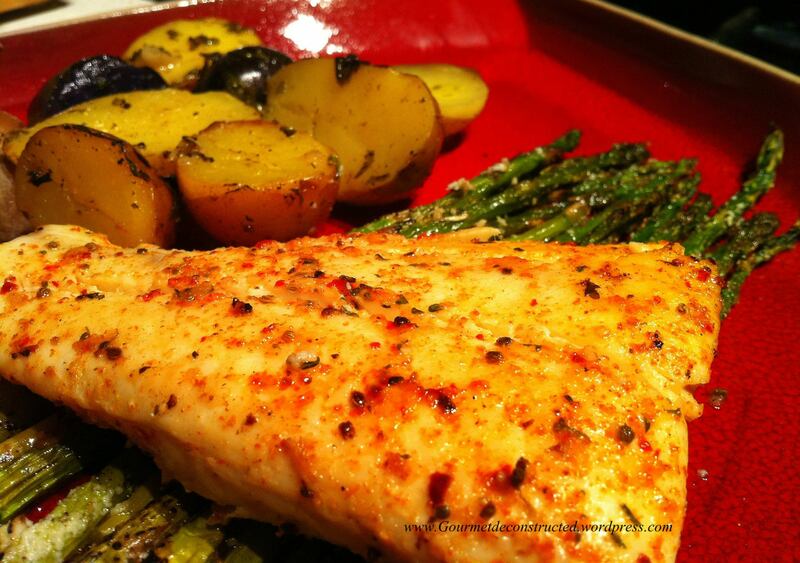 Ok home cooks & foodies, This is a relatively easy recipe for a very delicious fish, Halibut! You can use fresh or frozen, this is sure to be a hit at your dinner table.This no-fuss recipe is big on flavor and looks delicious on the plate. You can use halibut, cod, or haddock for this dish, it does not matter because they all work. I served it up with parmesan baked asparagus (recipe coming soon) and potatoes. Bon Appetit! Posted on March 24, 2012, in Seafood and tagged baked fish, halibut, pan-roasted, seafood. Bookmark the permalink. 1 Comment. This is for a serving of four correct?